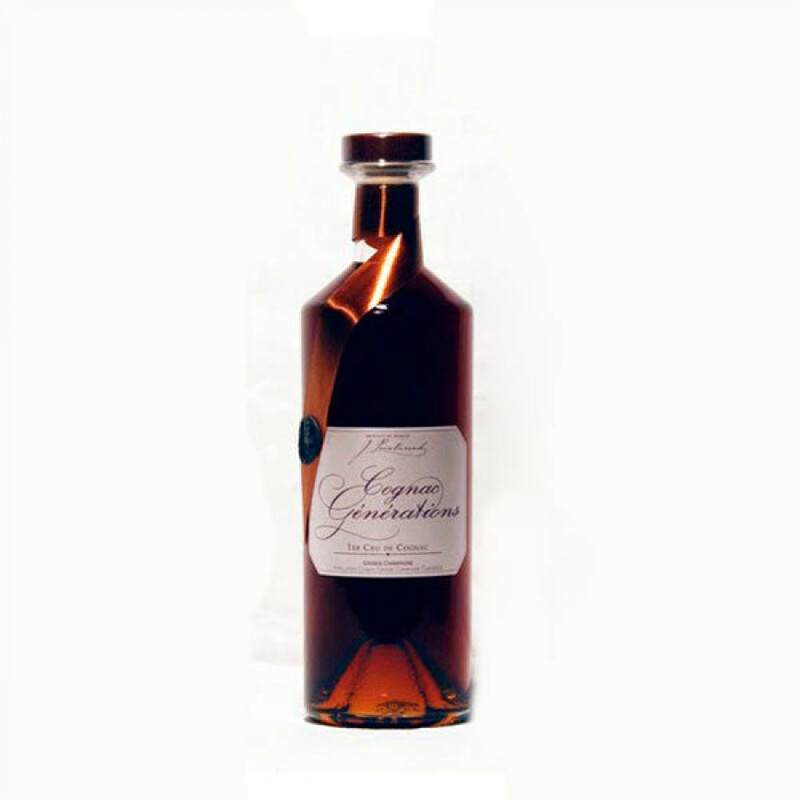 The J. Painturaud Generations Grande Champagne Cognac is a rare delight. Created from eau-de-vie from a single oak cask aged for more than 60 years within the deepest cellar of J. Painruraud, this really does offer a trulhy sublime tasting experience. The years of aging have imparted some of the rarest, most sought after aromas and flavors, with tobacco, leather, spices, cinnamon, and cocoa just a few you'll experience. And now... Let us talk about the finish. Because this truly deserves a mention, being as it lingers for a minimum of 20 minutes on the palate. This is definitely a Cognac that should never, ever be rushed. Enjoy at the end of a splendid meal, in the company of your nearest and dearest. An unforgettable tasting experience.